If you’re an avid Stranger Things fan, you’re well acquainted with how long it’s felt since Netflix released the first season, and how long it seems until season two makes its debut in October. I mean, how can we bear the next two months mulling over Eleven’s unknown fate? We need answers! 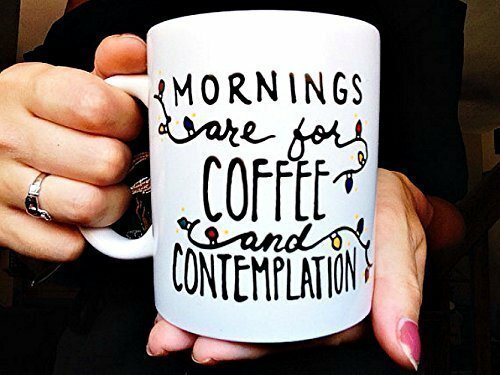 But don’t you worry, your wait just got a hundred times more tolerable with the Stranger Things online-shopping knowledge we have provided for you below. The best way to cure Stranger Things anxiety until season two? Retail therapy. Here are 10 Amazon products to get your mind off of that season one cliffhanger. You’re not a true Stranger Things fan if you didn’t get hyped when Eleven stole Eggos from a grocery store. If you had telekinesis, you would probably do the same thing. And that’s why we love her. Who doesn’t? “My favorite character is El because she has superpowers, obviously,” said University of Maryland junior Rachel Rosenfeld. 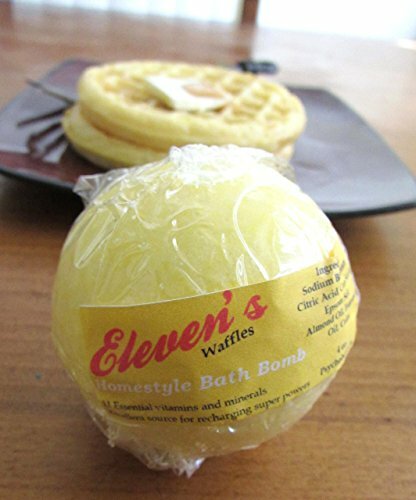 This bath bomb will remind you of not only the boxed goodness that is Eggos, but the super cool person that is El. 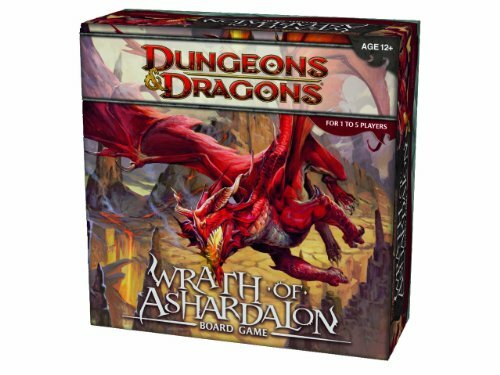 Now you can practice your fighting skills if you should ever encounter a demogorgon with Mike, Lucas, Dustin and Will’s favorite: Dungeons and Dragons. “If I were to buy Stranger Things merchandise, it would be the board game that they play,” said University of Vermont sophomore John Bickers. No monster from the Upside Down will ever want to cross you. Mike was shocked that Eleven had a tattoo on her arm (even though it was probably against her will) and that’s when he first saw her as a #badass. You know, before she used all of her mind powers to defeat a handful of Hawkins Lab villains. “10/10 would buy a sticker for my laptop’s wall of fame,” said University of North Carolina sophomore Kaeli Rivera. 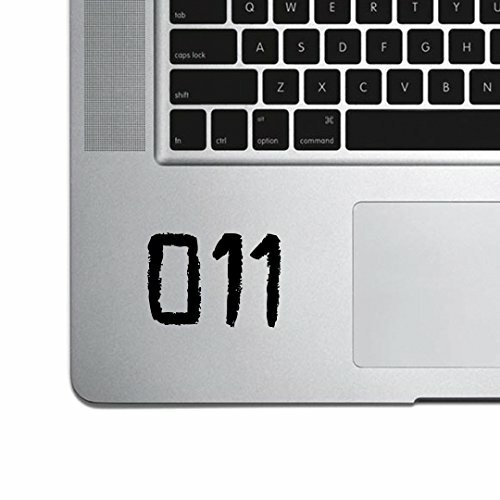 Add El’s personal identification tattoo to the artsy mess that is the outside of your laptop. So now you’ll have a tattoo, without the pain of actually getting a tattoo. People always say that fashion trends get recycled. Fortunately for you, denim everything is in right now, just as it was in the 80s (coincidentally when Stranger Things takes place!). What’s even better is that iron-on patches are now pretty hip, so why not incorporate your love for Stranger Things into your trendy wardrobe? 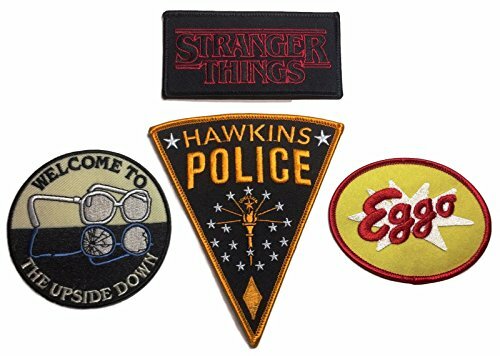 Attach these patches to your favorite jean jacket, skirt or distressed jeans while also showing off your love for the show. 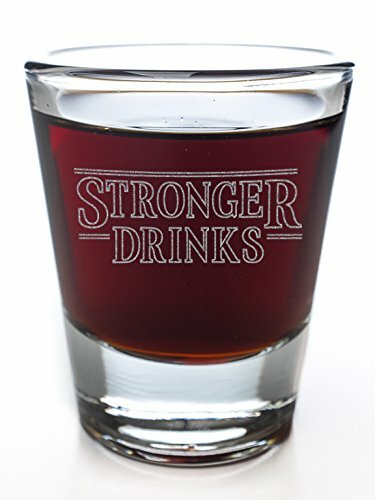 Add this to your beloved collection of pre-game essentials alongside your “Mischief Managed” and “Koala-fied to Drink” glasses. Face it, you can never have too many movie/TV show references and puns in the same room. Your party guests will thank you later. 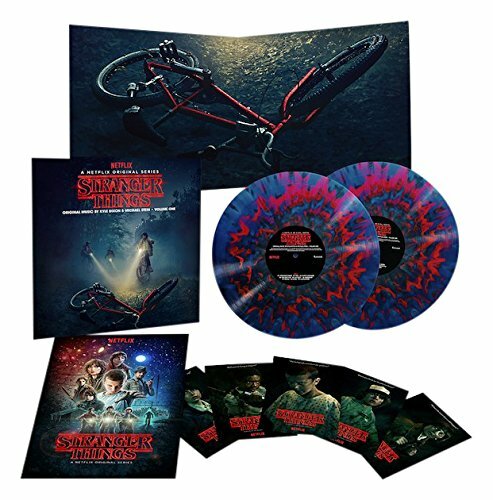 Forget Spotify—listen to the amazingly retro yet creepy Stranger Things soundtrack on vinyl, just like how Will and Jonathan Byers listened to “Should I Stay Or Should I Go” by The Clash. This set also includes posters to cover your walls. Hopefully a demogorgon won’t rip through them as he tries to enter your room. At least you’ll have a killer soundtrack to fend him off. 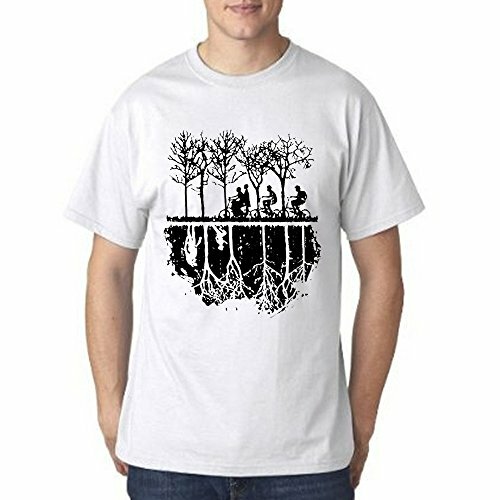 Hopefully the closest you’ll ever get to the Upside Down is through this t-shirt. Its artistic graphics subtly refer to the most horrifying place featured in Stranger Thing (and most horrifying place ever). Its contrasting colors juxtapose the two dimensions and metaphorically illustrate how vastly different they are. If anyone tries to bother you, just flash your Stranger Things t-shirt to remind them that you can send them down to the Upside Down. Or at least want to. Mark your calendars: Stranger Things season two airs on October 27, right before Halloween. 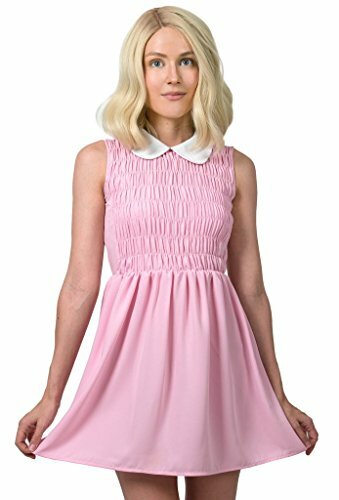 “If I could buy anything from Stranger Things, it would be Eleven’s dress and jacket combination, or her outfit in general,” said Pennsylvania State University graduate Annette Deutsch. Celebrate the new episodes by dressing just like the El after three young boys give her a makeover (it sounds scarier than it looks). Just add high socks, converse, some Eggos and you’re all set. 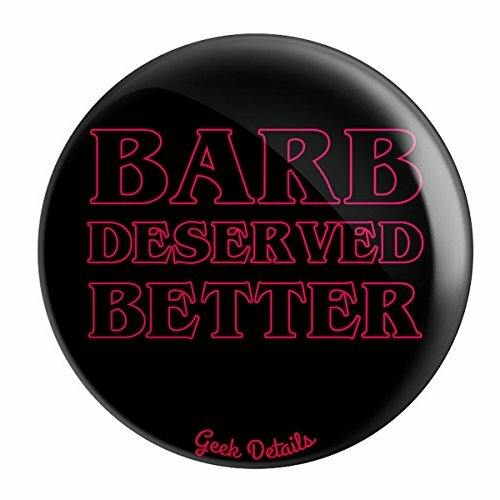 Advertise your involvement in the “Justice for Barb” campaign (it’s more like a bunch of angry viewers standing up for Barb, rightfully so) and put this pin on your backpack or bag. “I definitely think that Barb’s death was uncalled for and unfair. It was the first scapegoat to figuring out what the upside down was and how to get Will back. So her sacrifice should always be celebrated. But I’m still salty,” said American University junior Jozette Allah-Mensah. Do it for Barb, because she deserved better.